Constance Lane Arnold has been the host of the Think, Believe and Manifest Talk Show on The Law of Attraction Radio since 2009 and has enjoyed over 7.5 million listeners globally. There are currently over 500 archived shows for your inspiration, motivation and empowerment. Each week Constance interviews New York Times Best Selling Authors and experts in the areas of success, spirituality, business, self-improvement and science. Her guests provide timeless wisdom and insights that will radically shift and change your life. Additionally, Constance teaches and shares her in-depth knowledge on understanding universal laws, co-creating with God, the power of prayer, setting intentions, quantum faith, the subconscious mind and how to create your dream life from the inside out. 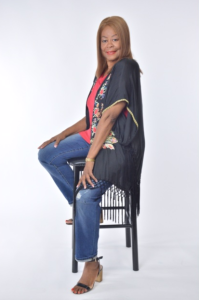 Constance feels she is called to inspire and teach others how to create the life of their dreams and live a life filled with purpose. The Think, Believe and Manifest Talk Show will teach you how to use spiritual universal laws and practical strategies to help move you from where you are to where you desire to be.